Challenge this! Don’t want to tackle the entire triathlon? 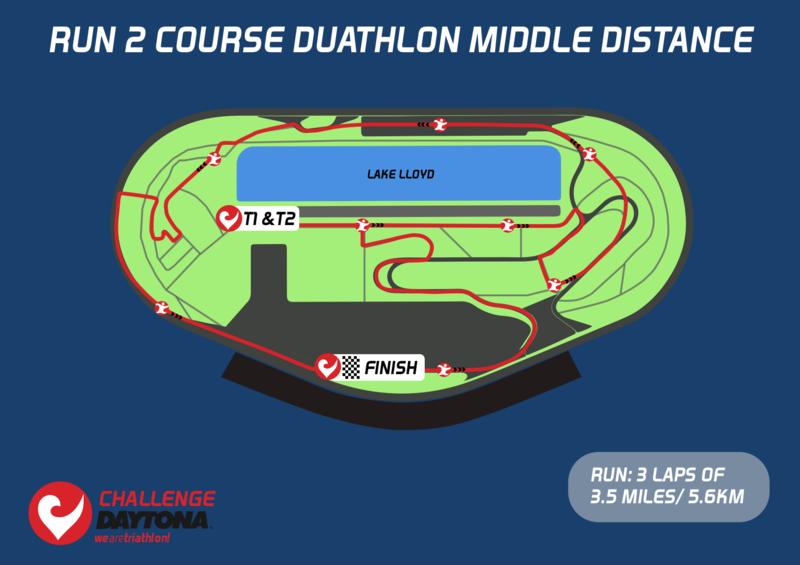 You can still bike and run at Daytona International Speedway, the iconic “World Center of Racing,” during the CHALLENGEDAYTONA festival weekend. Choose from Sprint or Middle Distance in the run-bike-run duathlon format. December 15 2019, Duathlon Middle Distance it’s on! Finish your race with excitement-filled lap of the track—running where NASCAR history is made. You’ll finish in the FanZone to the roar of the crowds, like countless sporting legends who have come before you. Maybe you won’t hit the speeds that NASCAR drivers clock, but it’s sure to be a fast run, fueled by the enthusiasm and energy of the crowds. It’s also sure to be an experience you’ll never forget!